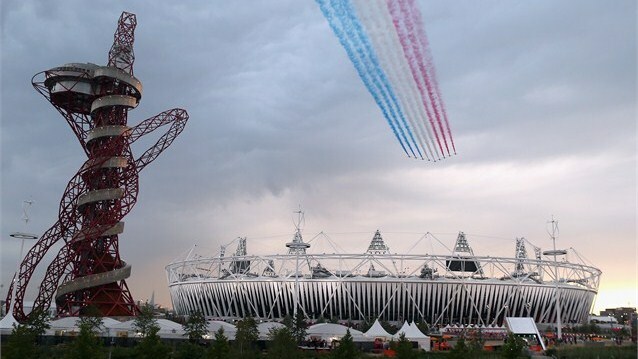 Olympic Games 2012 started yesterday in Londons. Despite the fear of terror attacks and security issues, the biggest games ceremony started. Olympic 2012 opening ceremony can be seen in the video provided in the article below. The ceremony named, “The Isles of Wonder” on July 27 was a extravagent event. The opening Ceremony of Olympic Games 2012 saw many famous and fictional figures. The list included, Mr. Beans, James Bond, Lord Voldemort etc. Daniel Craig who played the part of James Bond a English spy in the movie series escorted the Queen in a Union Jack chopper from Buckingham Palace to Hyde Park where the ceremony was taking place. During the arrival one of the stunt person dressed as the Queen jumped from the helicopter in a parachute. On the other hand a huge guy who had dressed like Lord Voldemort from Harry Potter movie series was moving around the crowd with a magic want in hand and was ready to cast spell on them.Apart from this Mr. Bean came to the event as well, he played the keyboard on a “Chariots of Fire”. Also among the stars was David Beckham who came to the biggest gaming event the Olympics 2012. 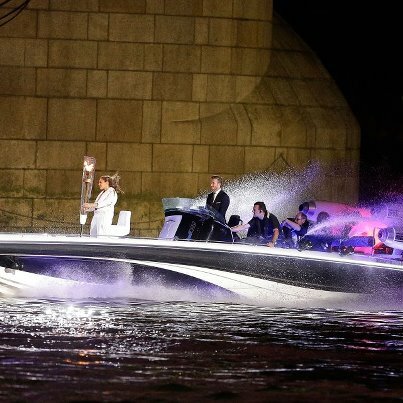 David made his entrance in a speed boat. Arctic Monkeys were there to cast the spell of music on the crowd with a live rendition of The Beatles’ classic “Come Together” which was written by John Lennon and Paul McCartney. At the end of the ceremony, the Fab Four Mecca showed up on stage to deliver another hit single from his former band, “Hey Jude”. 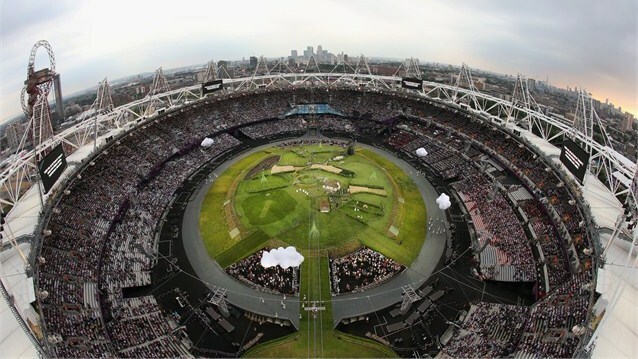 Here are the pictures and video from the event of Olympics 2012 Opening Ceremony.